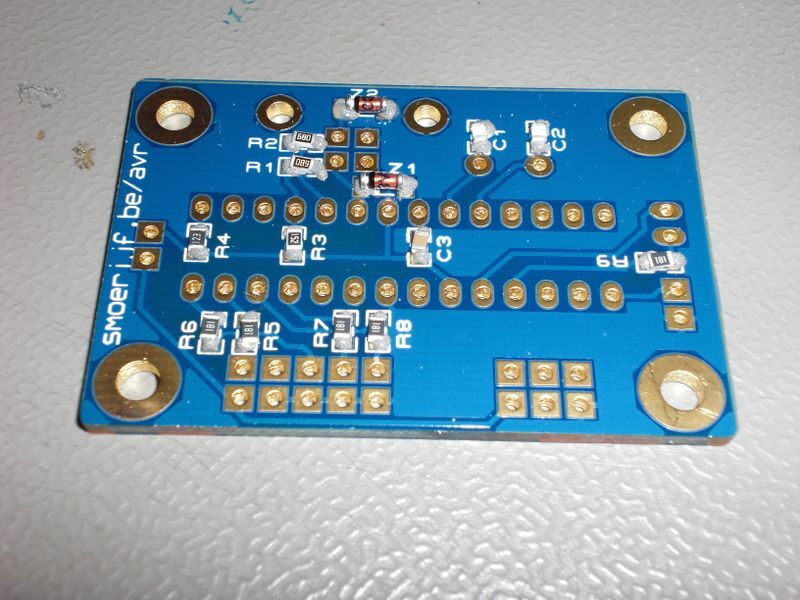 Sparkfun has a tutorial describing reflow soldering with a skillet. A couple of months after I read this “kruidvat” had a cheap skillet on sale. 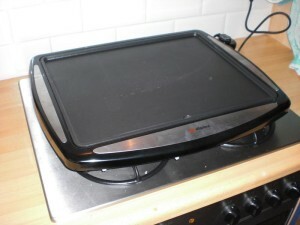 If you use the skillet for reflowing PCB’s, don’t use it to prepare food. 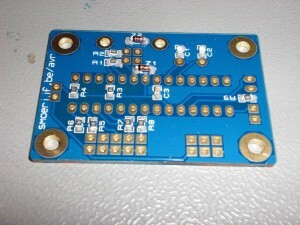 What I needed too were tweezers and soldering paste. 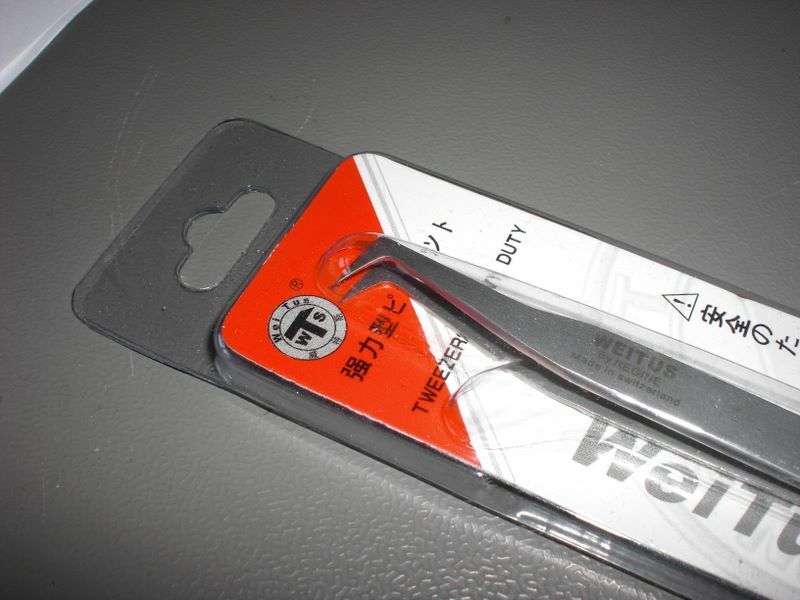 Good tweezers can be expensive and soldering paste is quite hard to find. 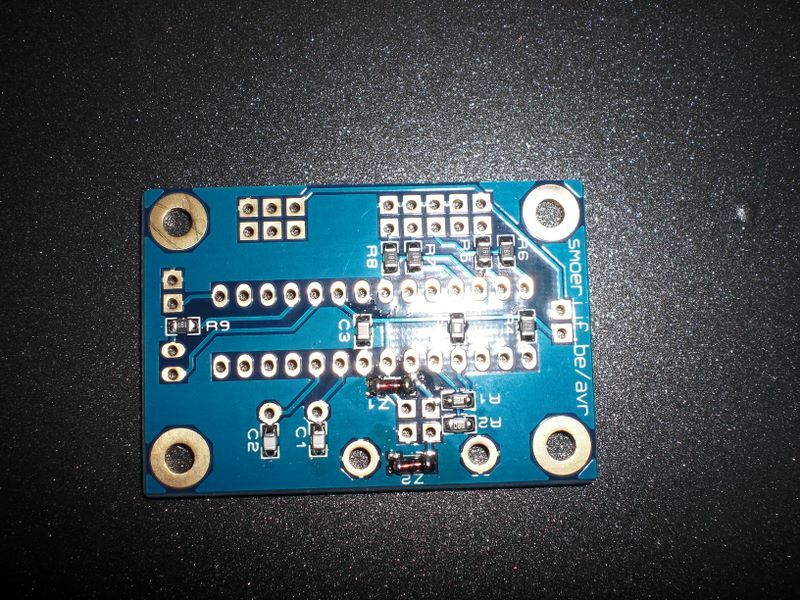 A warning about shopping for soldering paste. 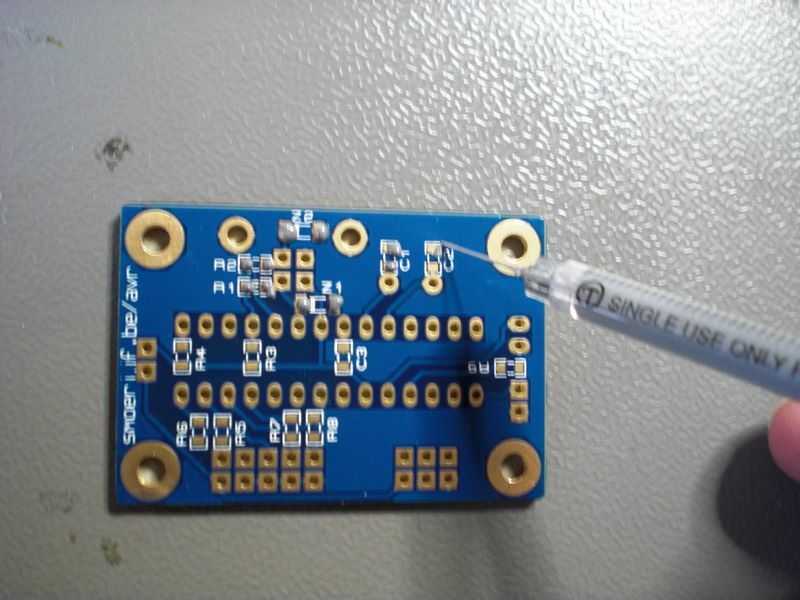 The name “soldering paste” can be used to two things : one is “flux paste” which will allow the solder to flow but does not contain any solder itself. The other is a paste or gel containing a tin alloy, flux and a carrier gel. You’ll need the last kind. I was surprised to find out that DealExtreme, my favorite webshop for cheap stuff has both. 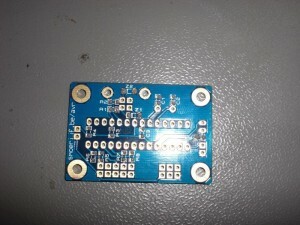 Sku 4711 is a quite usable soldering paste. 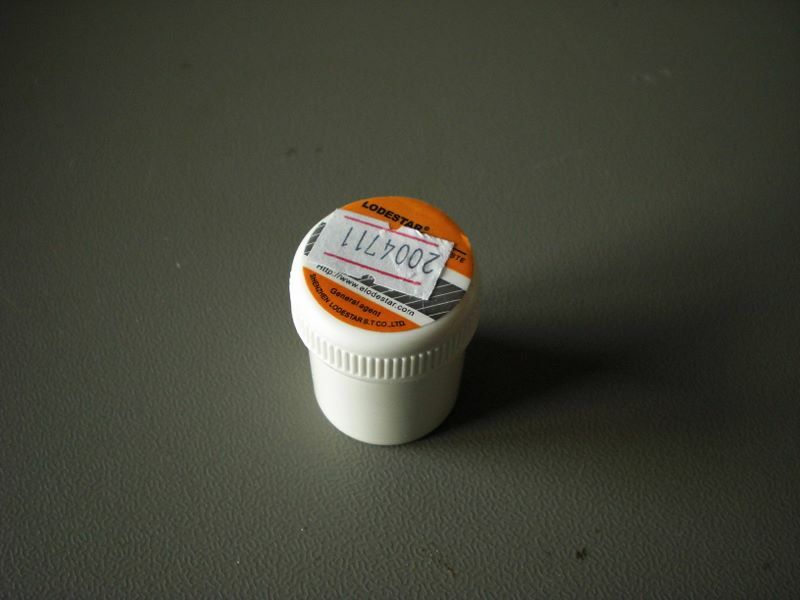 DealExtreme sells both kinds of soldering paste. Make sure you get the right kind. Sku 19866 are nice tweezers. You’ll need some way to get the paste on the pads. 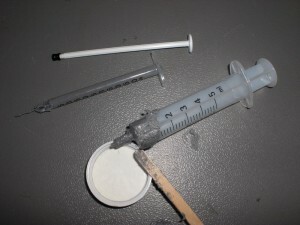 I used a syringe to get the paste in a small syringe and used the small syringe to apply the paste. Air-bubbles or water in the paste cause problems during reflowing. The water will boil and the air will expand causing the paste to splatter. Then I applied the paste. One thing I did wrong was putting way too much paste in the syringe. The paste is a mixture of tin powder, flux and a gel. The powder separates from the gel in the syringe and if you put too much paste in the syringe you’ll end up with clogged syringe. 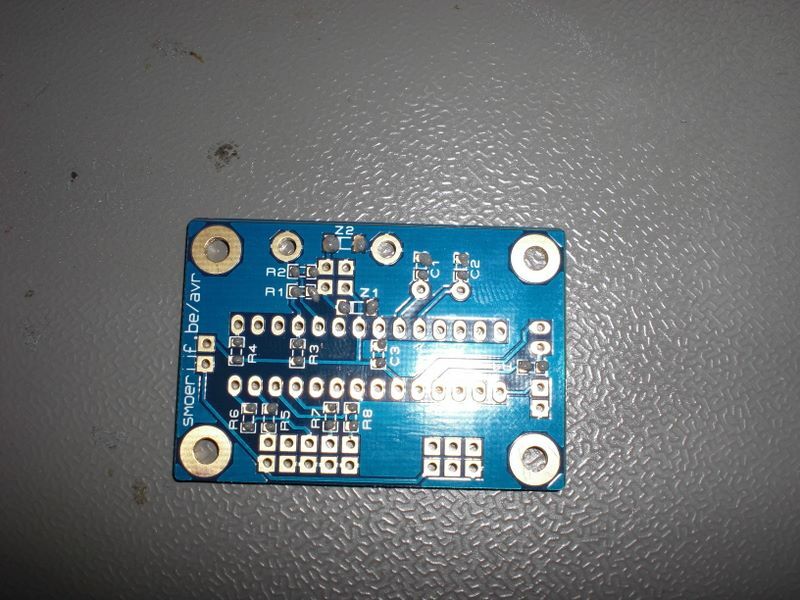 I placed the SMD parts in the paste. 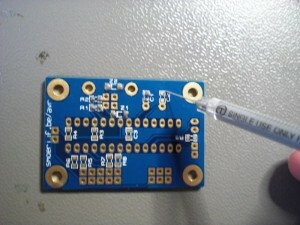 And I baked the PCB. First I measured the max temperature of the skillet and tried to get an idea of the temperature slope. 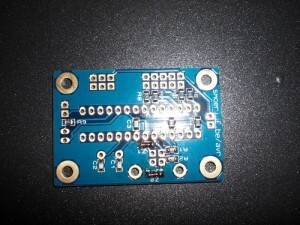 The sparkfun tutorial has some information about the temperature curve you are looking for. The skillet I had maxed out at about 220 degrees C so it worked fine.